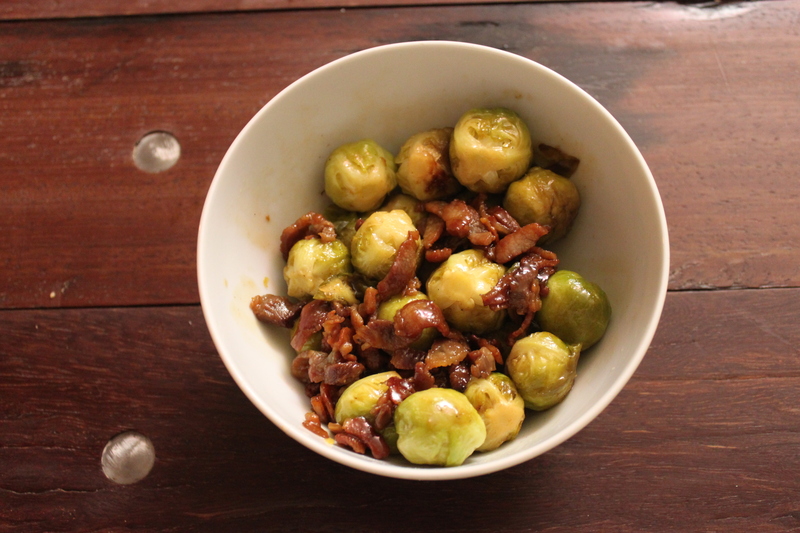 Often when you say that you are having brussels sprouts for dinner, people associate it with something boring. But this recipe is nothing like that – we’ll guarantee that even your kids are going eat them like candy, so make sure that you have cooked enough for everyone. 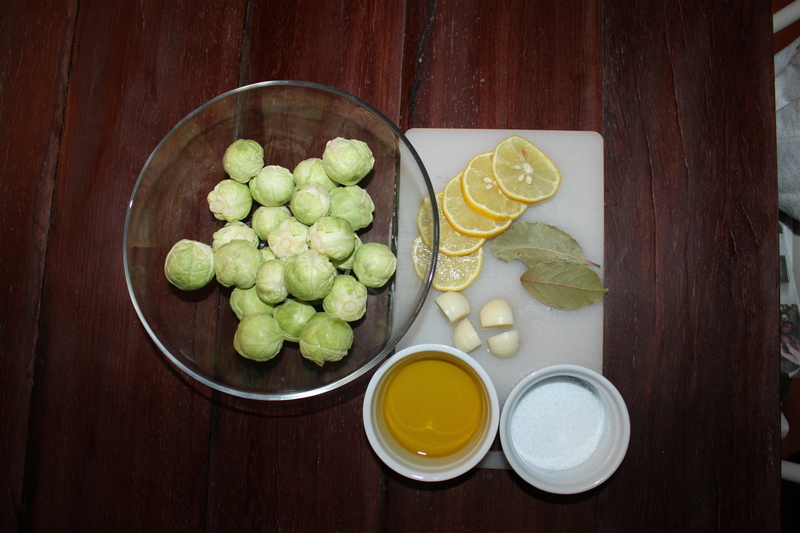 Clean the brussels sprouts and toss them with garlic, lemon slices, bay leafs, salt and olive olie. Wrap all the mixed ingredients in tin foil and bake in the oven at 350 degrees fahrenheit for about 30 minutes. After 30 minutes in the oven, take the foil wrapped brussels sprouts out the oven and separate the brussels sprouts from the rest of the ingredients. 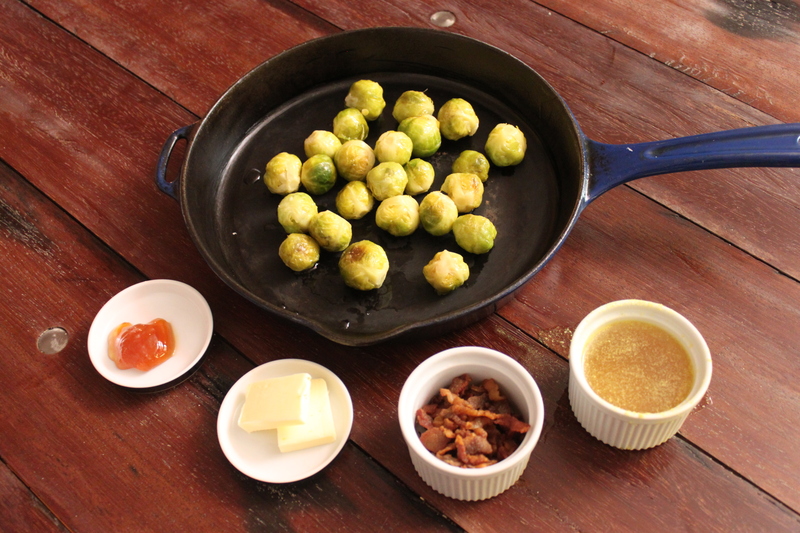 Heat up a frying pan and add brussels sprouts, butter, chicken stock and honey. Let caramelize for a few minutes before adding bacon. Toss around and remove from heat. Let rest for a few minutes before serving. Serve as a side dish for red meat, pork, burgers or as we had it today, with a pork fried steak sandwich.